Sinfonietta No. 1 was originally written for brass band, commissioned by the Dutch National Championships 2011 in Groningen. It also served as the test piece for the Swiss National Championships 2011 in Montreux, Switzerland. In 2012, I created this version for wind orchestra. 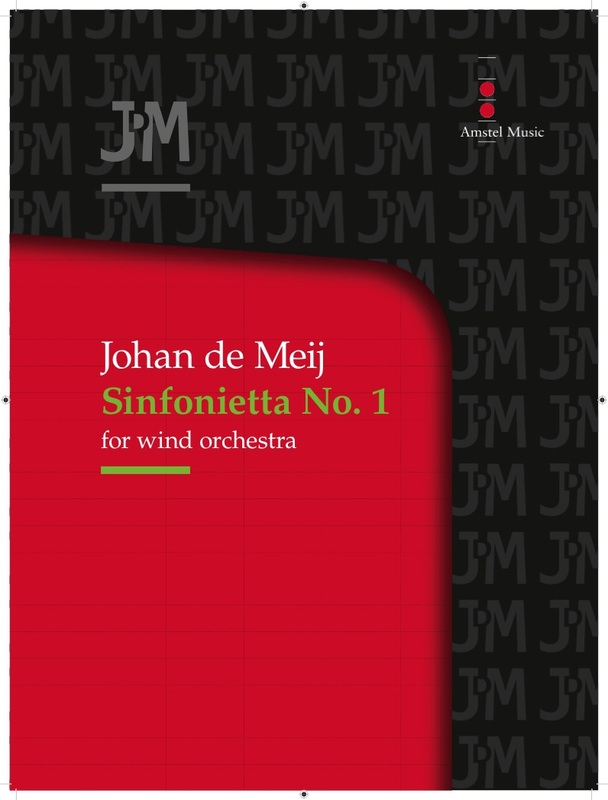 Unlike most of my compositions, Sinfonietta No. 1 is an abstract, non-programmatic work. It consists of three movements, in which the thematic material of the opening measures – an upward fifth jump – returns in various shapes and forms throughout the piece. The slow middle section features solo passages by cello, English horn and bassoon, all starting with the same fifth jump. The final movement presents an Elgar-like march theme, interspersed with quotes from the second movement, and ending with the opening theme of movement I.